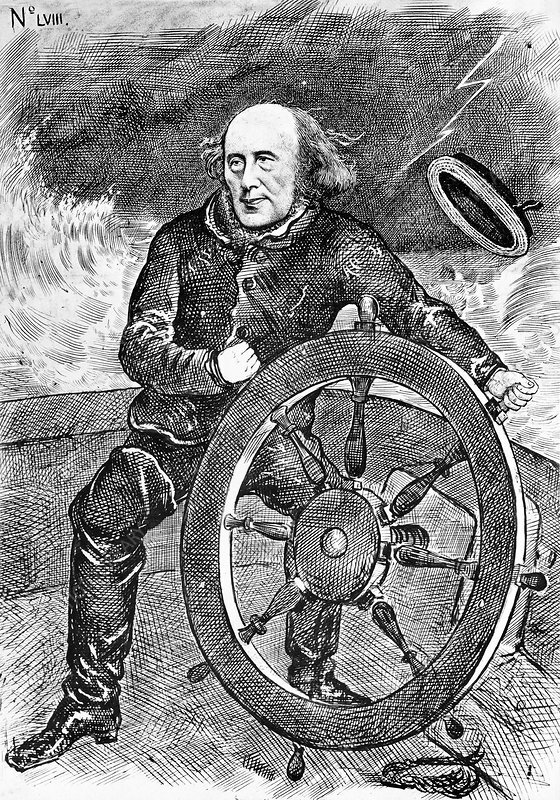 Henry Wentworth Dyke Acland (1815-1900), British physician, depicted in a satirical illustration as a sailor at the helm of a ship. Acland studied at Oxford, and was appointed a lecturer in anatomy there in 1845, being elected Fellow of the Royal Society in 1847. Acland was Regius Professor of Medicine at Oxford from 1858 to 1894. He helped revive the Oxford medical school, and establish the Oxford University Museum (1861). His honours include Companion of the Order of the Bath (1883), Knight Commander (1884), and baronet (1890). Published in the 1870s, this cartoon is from the series 'Great Guns of Oxford' (LVIII).